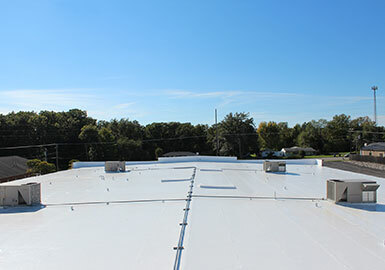 The Flat Roof Company proudly installs and services TPO and modified bitumen, built up roofs (with or without gravel), EPDM Rubber roofs (with or without ballast rock), and PVC roofing for commercial and industrial buildings in the metropolitan St. Louis area. 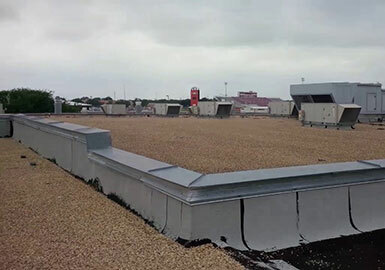 Our team of expert flat roof technicians has over 30 years of experience with the installation, service and repair of all types of flat roofs in a wide variety of applications. 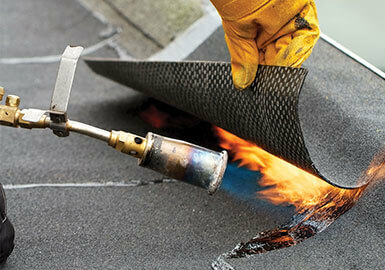 This roofing material is a favorite among those in the roofing industry. Our specialists will help you determine if TOP is right for you. 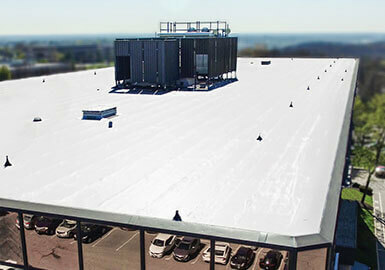 The Flat Roof Company installs modified bitumen roofing with torch down application for quick and affordable installations. 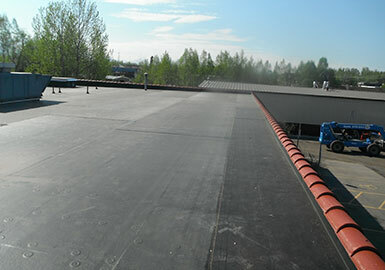 If you are interested in the installation or repair of a TPO or modified bitumen flat roof for your commercial or industrial building, contact us today! The expert technicians at The Flat Roof Company will provide you with a free estimate for your roofing needs. Call us at 314-995-2700 to get started today!